In addition to our vineyards, we also have orchards on our land. Both fruit and nut orchards. 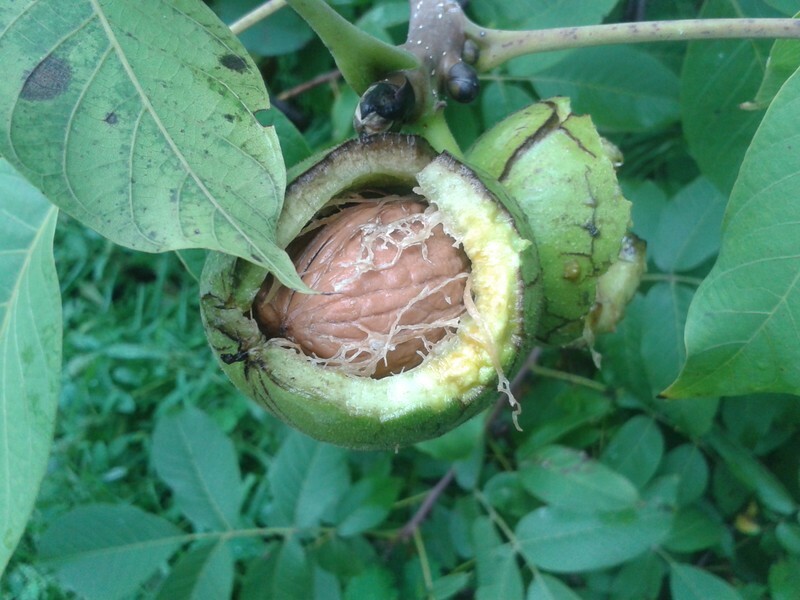 The fall is orchard season, especially with nuts. 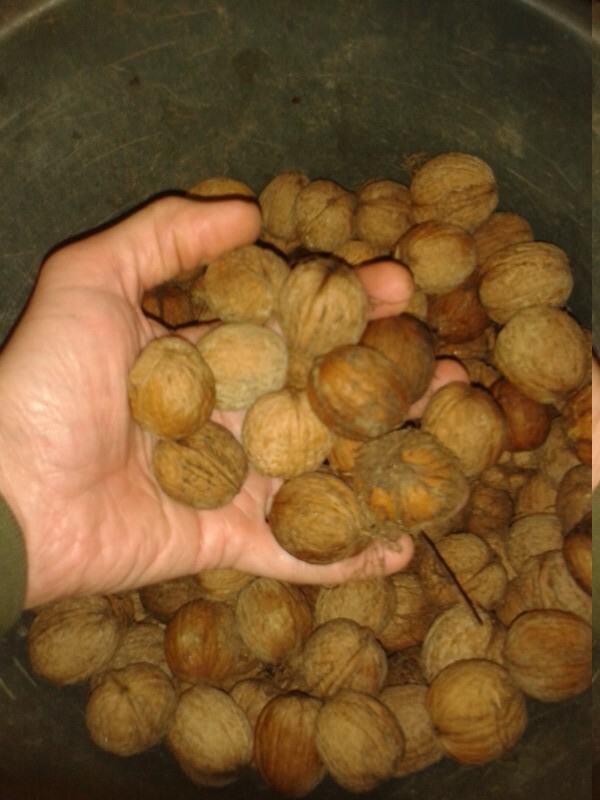 Today I am highlighting our walnuts. 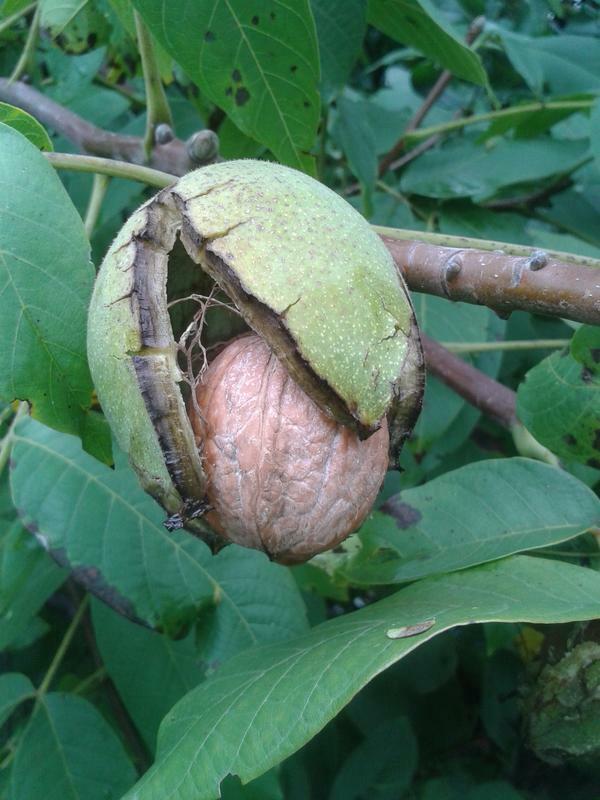 Walnuts are not actually a true botanical nut, but are classified as a drupe, as are cherries, peaches and plums. The difference being with drupes such as cherries, peaches and plums the flesh of the fruit is eaten and not the seed (because the seed can be toxic), while with walnuts the seed is usually eaten (even thought the green fruit of a walnut can be also eaten, it is less common to do so). 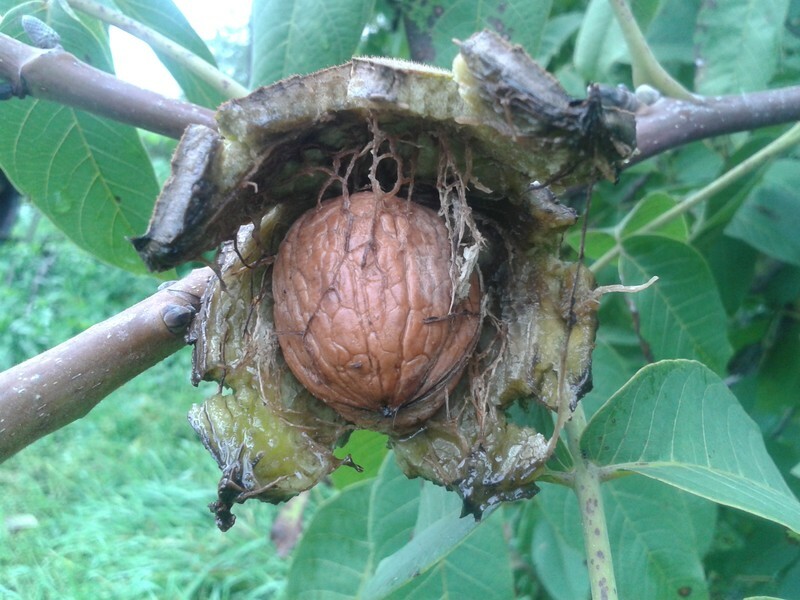 I have been not only actively promoting the growth of walnut trees that I have found on our properties that have spontaneously grown from seeds, but I am also growing and raising many for new plantings our properties. Walnuts are a good source of essential fatty acids, amino acids, fiber, and minerals such as zinc, manganese and magnesium. 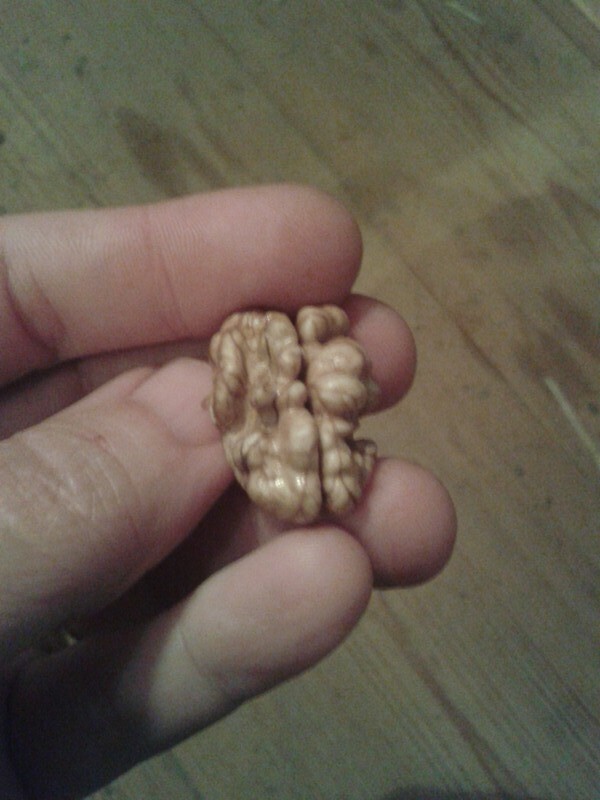 In other words, eating walnuts gives you many of the essential factors in your diet you must consume in order to live.